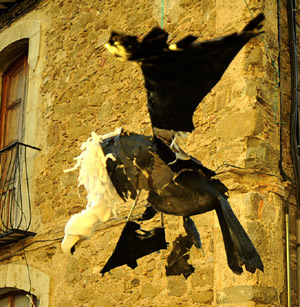 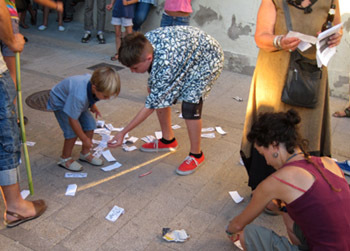 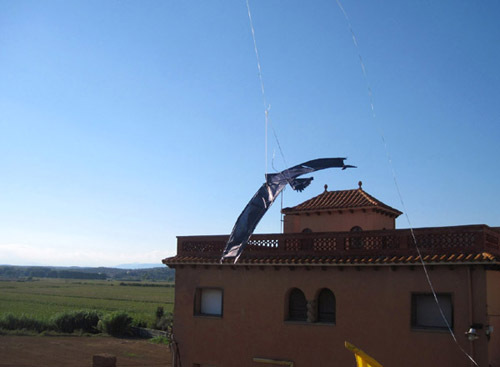 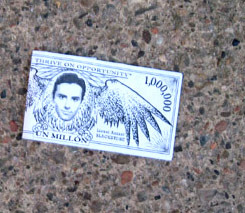 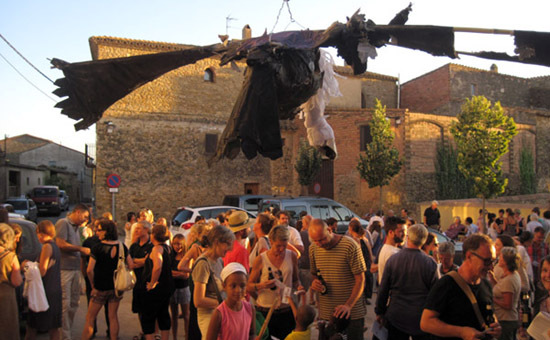 A series of vulture-kites positioned at different points in the village, plus a large, vulture-shaped piñata with coins, bills (with the faces of key figures associated with the vulture funds active in Spain) and candy inside, which was duly smashed to pieces by the public. 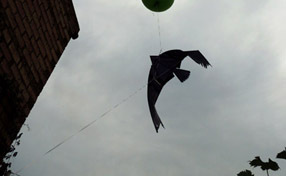 Carrion-feeding birds have their place in our world; it is not an enviable one, but it is as stable and inevitable as that of the undertaker. 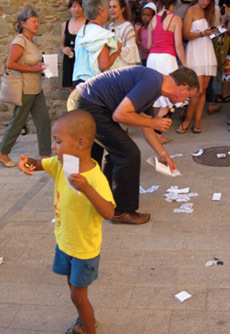 The problem arises when their appetite exceeds the supply of corpses available and their diet expands as a result. 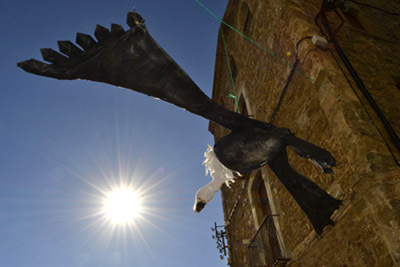 Today, irregularities in the economic sphere allow "vulture" funds (high-risk hedge funds) to no longer limit their manipulations to money that is inactive or at rest; they are now free to pillage the weakest areas of active money as well. 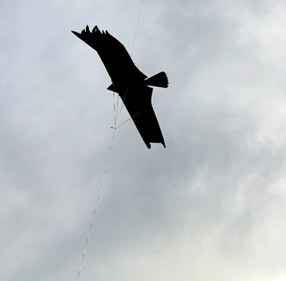 If vultures become vampires, choosing to feed off blood that still circulates instead of that which has ceased to do so, nature's clock is vertiginously pushed forward, dragging all of us down into a voracious vortex. 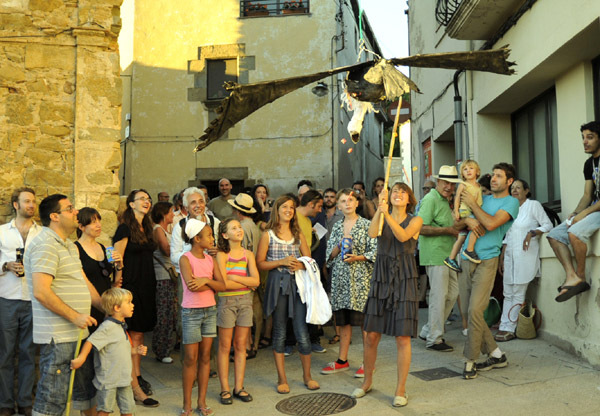 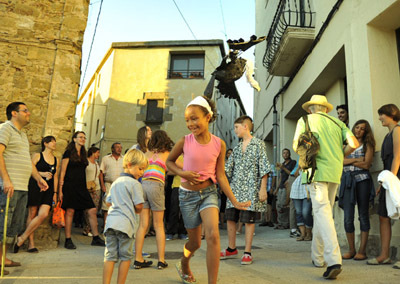 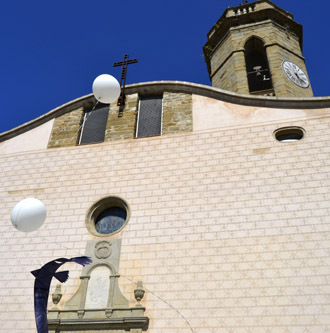 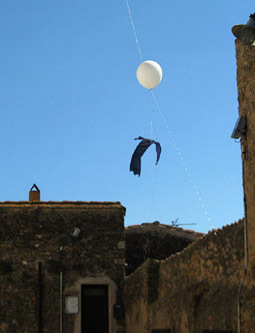 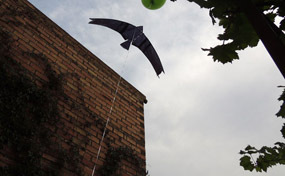 During the Jafre Biennial, vulture-kites hovered over the village, and in order to satisfy the curiosity awakened by such strange circumstances, one vulture-in the form of a large piñata-was downed by the public blow by blow, and the contents of its interior (in this case bills, coins and candy) thus distributed among those present.